I love how the book cover turned out! Simple everyday items that can be found in many homes: shoes, a family bible, and bottles of prescription pills all inside a box. Each of these symbols come to life in the book. Sometimes we want to keep a lid on the box, covering up what’s inside. What happens when we take the lid off the box? What happens when we break the silence about mental illness, family, and church? Why write about my family and mental illness? Why share such a personal story so publicly? The Young Clergy Women Project, that’s why. We just finished our annual conference hosted by Westminster Presbyterian Church in Minneapolis, Minnesota. There were over 70 of us who gathered in-person to pray for each other’s churches, babies, families, and unrealized dreams. We cultivated deeper understandings of discernment about God’s will and we sampled the dessert menu at a nearby watering hole. Back in 2006, I discovered an online community of other people like me: young women (under 35) who answered a call to ordained ministry. First organized by Susan Olsen, the aptly named group’s primary goals were to help us find each other and to offer support. Now TYCWP has over 1,000 members that span across the globe. Chalice Press has a partnership with TYCWP that opens the door into publishing for young clergy women. There are several titles now that are a result of this partnership. 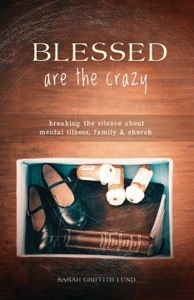 I’m honored to be the most recent author in this collaborative creative effort with my book Blessed are the Crazy: Breaking the Silence About Mental Illness, Family, and Church coming out this September. Thinking back to when the inspiration first struck me to write and submit a proposal to the Chalice Press/TYCWP, what got me going was seeing other young clergy women writing and publishing. I realized not only that I could do it, too, but that I was called to do it. I could not not do it…fire in the belly kind of thing. The idea to write about mental illness came from the realization that I was not alone in how significantly my family’s life has been shaped by mental illness. And I felt called to share how much grace and healing we’ve found along the way….this is my testimony to the power of God’s transforming love. One of the mottos of TYCWP is “you’re not the only one.” This fits for talking about mental illness, family, and church, too. I’m looking forward to seeing more books coming out of this Chalice Press/TYCWP partnership. The voices of young clergy women bring new perspectives and offer hope as we live into the incredible resiliency found within our Christian traditions. My book Blessed are the Crazy would not exist without the encouragement, support and inspiration of TYCWP. Not only am I not the only one, but I’m in pretty good company. A year ago on July, 4, 2013, I began this blog with the hope of breaking the silence about mental illness. 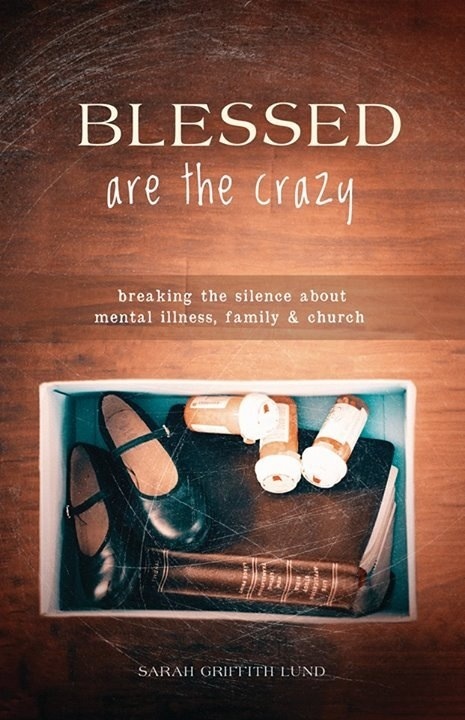 Today I am thrilled to announce that my book Blessed are the Crazy: Breaking the Silence About Mental Illness, Family, and Church will be published this September by Chalice Press as part of The Young Clergy Women Project series. In the next week I’ll be looking at a PDF of the typeset book. Geeee! Also, we are doing cartwheels over the amazing artwork of Shawna Everett whose creative design magic will grace the book cover. The cover design could go in a number of interesting directions…and I’m staying open to the possibilities. This part is really fun! The book is not only a personal testimony about how God (has and does) show up in the crazy, but the book is also a resource designed to help get the conversation going about mental health…there’s a small group study guide at the end of the book, too. I had no idea what I was getting myself (or my family) into three years ago when I pushed send on that first book proposal. I had no sense of how collaborative this process would be and I had no idea how much I would love it. Back in 2011, The Young Clergy Women Project was the first to say yes to this idea of breaking the silence about mental illness. That was risky and took courage. I am grateful. And the folks at Chalice Press have been super great to work with: encouraging, supportive, professional, responsive, and open. So happy one year anniversary everybody! Let’s keep the conversation going, breaking the silence, decreasing the shame and stigma of mental illness. Our health and well-being depend on it.